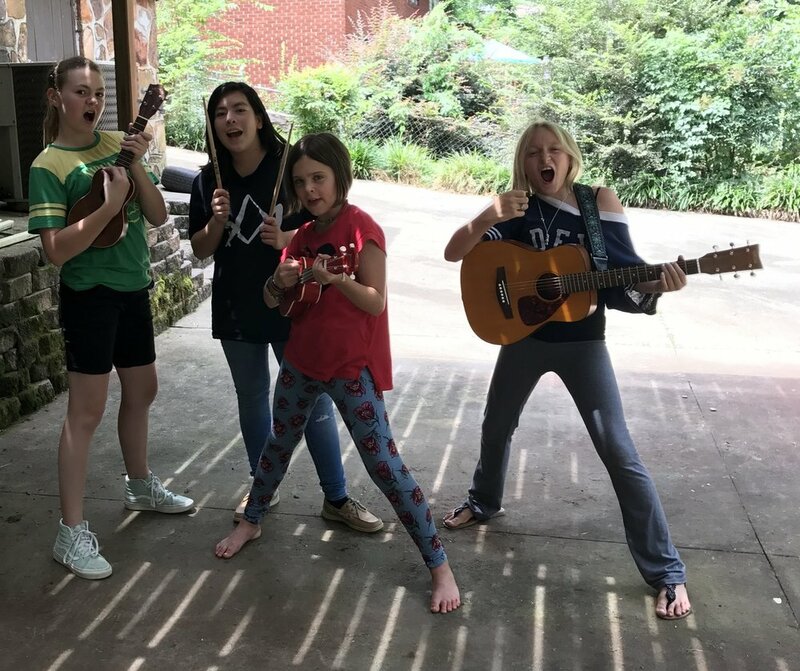 Our Summer Programs include a combination of group activities and one-on-one mentoring led by our amazing team of female multi-instrumentalist songwriters/ arts educators - learn more about our team here! A background in playing instruments or singing is a plus, but it's not required to attend camp. Location: The Center for Humanities and Arts, UA – Pulaski Tech, 3000 West Scenic Drive, North Little Rock, AR 72118. In week 2, each girl will spend one day recording her song at Capitol View Studio in Little Rock, where our final performance will also be held on Sat June 30. Price: $600 - Partial and Full Scholarships are available for those demonstrating financial need. Price: $350 - Partial and Full Scholarships are available for those demonstrating financial need. Contact us for more information and to register for camp! SCHOLARSHIPS AVAILABLE: Last summer we were thrilled to be able to award scholarships to 50% of campers - please don't hesitate to get in touch if a scholarship would help your daughter to be able to attend. Piano, keyboards, acoustic guitars, electric guitars, bass, drum kit, amps, ukuleles, drum machines, percussion instruments, microphones, and more.